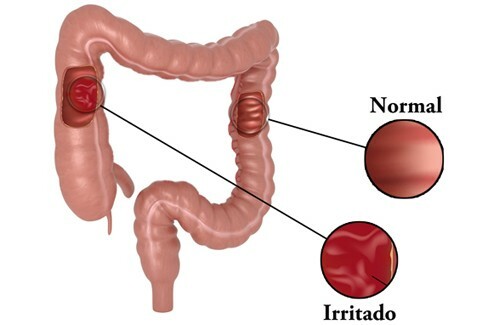 Irritable Colon syndrome (IBS) is a common disorder that affects the large intestine (colon). Irritable bowel syndrome commonly causes cramping, abdominal pain, bloating, gas, diarrhea and constipation. IBS is a chronic condition that you will need to manage long term. Although as many as 1 in 5 American adults has signs and symptoms of irritable bowel syndrome, fewer than 1 in 5 who have symptoms seek medical help. Yet it’s important to see your doctor if you have a persistent change in bowel habits or if you have any other signs or symptoms of IBS because these may indicate a more serious condition, such as colon cancer. Because there are usually no physical signs to definitively diagnose IBS, diagnosis is often a process of ruling out other conditions. To help this process, researchers have developed two sets of diagnostic criteria for IBS and other functional gastrointestinal disorders — conditions in which the bowel appears normal but doesn’t work (function) normally. Both criteria are based on symptoms after other conditions have been ruled out. It’s not clear what causes irritable bowel syndrome, treatment focuses on the relief of symptoms so that you can live as normally as possible. If your problems are moderate or severe, you may need more than lifestyle changes. Your doctor may suggest medications. Eliminating high-gas foods if you have bothersome bloating or are passing considerable amounts of gas, your doctor may suggest that you cut out such items as carbonated beverages, vegetables — especially cabbage, broccoli and cauliflower — and raw fruits. Eliminating gluten research shows that some people with IBS report improvement in diarrhea symptoms if they stop eating gluten (wheat, barley and rye). This recommendation remains controversial, and the evidence is not clear. Eliminating FODMAPs some people are sensitive to types of carbohydrates such as fructose, fructans, lactose and others, called FODMAPs (fermentable oligo-, di-, and monosaccharides and polyols). FODMAPs are found in certain grains, vegetables, fruits and dairy products. However, often people are not bothered by every FODMAP food. You may be able to get relief from your IBS symptoms on a strict low FODMAP diet and then reintroduce foods one at time.